In some ways I am completely and utterly ready for our baby boy to be here. Emotionally I am more than ready, physically I am more than ready and in terms of clothes and bigger bits I am ready too. However most of the aforementioned bigger things, like the pram, crib and car seat are either stored in the loft or are in boxes in the garage. With our house being so small and with there already being enough paraphernalia from two little girls, I thought I would leave it till the last minute to get the bigger stuff ready. As this little boy bump will not be having his own room until he is at least six months, due to the fact that both my husband and I work from home and currently use the room as an office, it actually makes it quite hard to store all his things. We deliberately bought a new bed relatively recently that had some under bed storage, so at the moment all his clothes are being stored in there. But we are thinking of making a trip to trusty IKEA in the next couple of weeks to get some more storage for our study, and we can just store his bits in there until we are ready to change it into a nursery. So although we are not organised at all in that respect, one thing I have been more organised about this time is packing my hospital bag. I think with Mads I packed them about 37 weeks and with LL it was more like 39, mainly because I have c-sections and I know exactly when they are coming, plus if for any reason I did go into labour early, we only live a couple of minutes from the hospital anyway. But this time around I have actually packed my hospital bag for baby already. (and I will pack mine over the next couple of weeks) This is mainly due to the fact that Mads is going to be off school for Easter for the next couple of weeks so it will be hectic and also because I wanted to film a video about what I am putting in it- I have watched lots of these on YouTube over the years and wanted to do one as well. I am one of these people that likes to travel light, I do the same when we go away on holiday especially for me, although naturally I need a different outfit for the girls every day! I think I have packed light, but have enough that hopefully it will last me the day or two I will need to stay in hospital after my c-section. If I have to stay any longer I am sure Mr E can bring some other bits in for me. 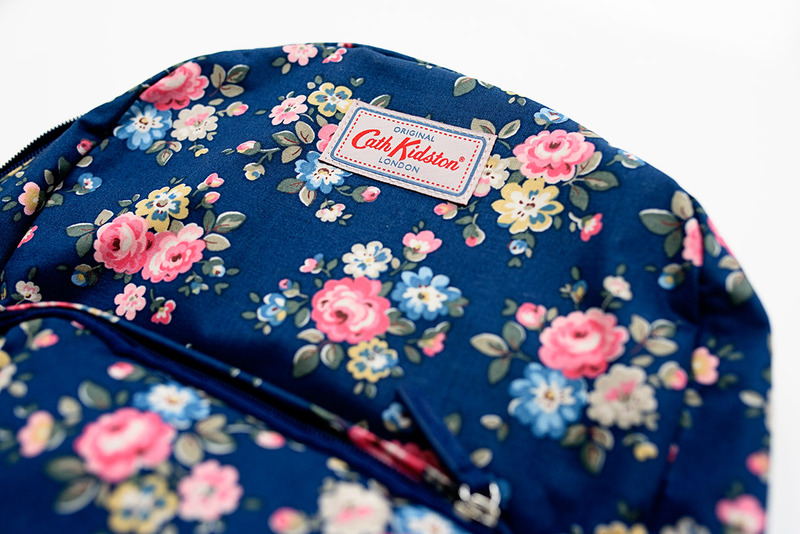 The bag I am taking is this gorgeous changing rucksack from Cath Kidston. I really fancied a rucksack changing bag this time around because I can imagine I am going to have my hands full when out and about with three little ones, plus I think they look really nice too. I worked with the CK team back in the summer when they came to our house to do some filming and have stayed close to them and they very kindly sent me this as a surprise- it made my whole week and was so kind of them. 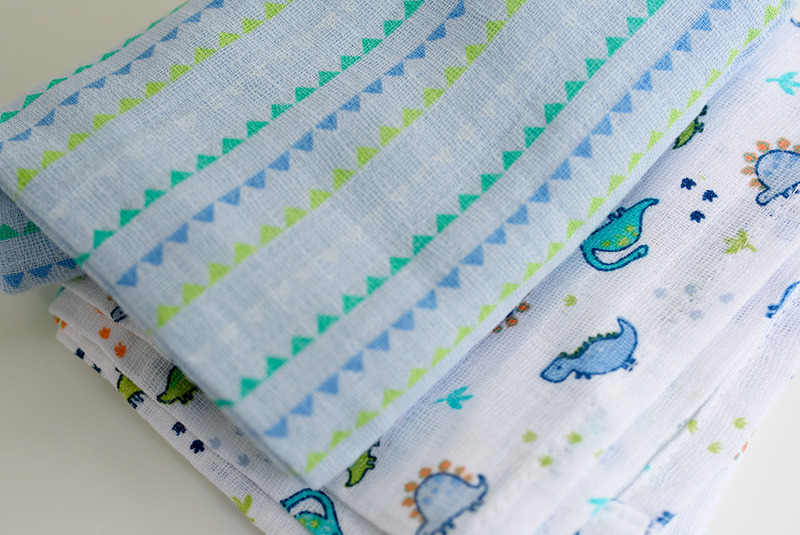 I bought these little muslin squares from Tesco (I can’t find the link now!) but they were really reasonably priced and come in a pack of five. I used muslin squares for so many things with the girls, so they really are an essential for me. I’ve packed two snuggly blankets, just in case it is cold in the hospital or on the way home. 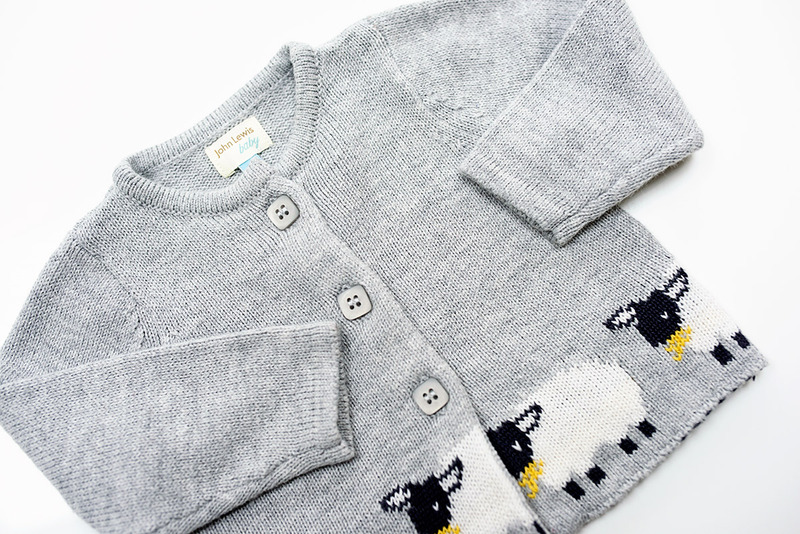 The white blanket with grey trim is from Mothercare (I can’t find the link!) 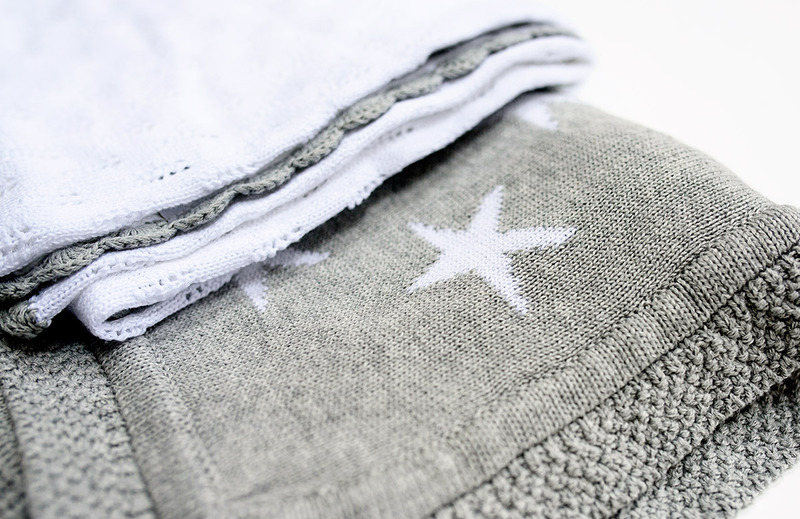 and the knitted grey star blanket is from John Lewis and is a special one as my Mum has bought a blanket for all my babies. This vest was one of the first things I bought for the baby and I couldn’t resist it as possibly something for him to come home in (with an outfit over the top of course!) It’s from Gap and the only thing is I got it in a very small size and now I doubt it will fit him! I absolutely love newborn babies in white so most of the things I am taking into hospital are of a white theme. We used the Essential One clothes with LL and I am yet to find baby clothes that are softer or wash better so I had to get some for this baby too. This pack of five white vests comes with a matching drawstring bag. 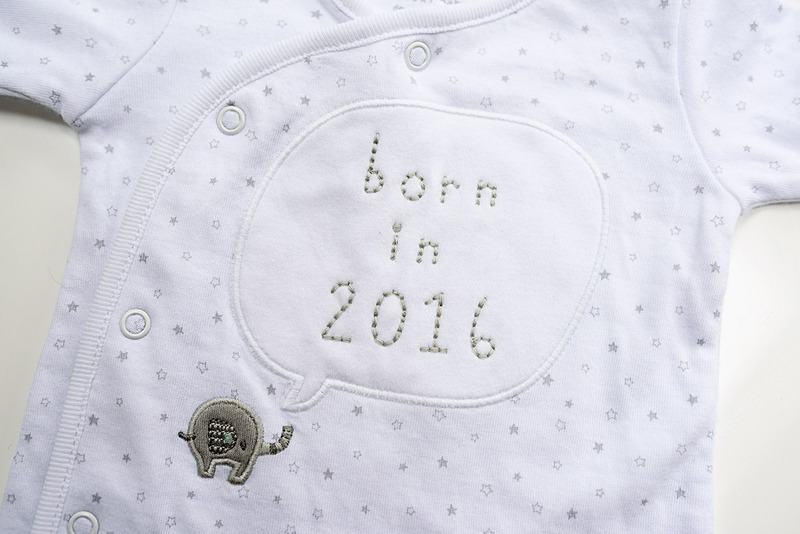 I couldn’t resist getting this little newborn ‘Born in 2016’ sleepsuit from Next. I think this might be the first outfit we put him in, as long as he can fit in it! 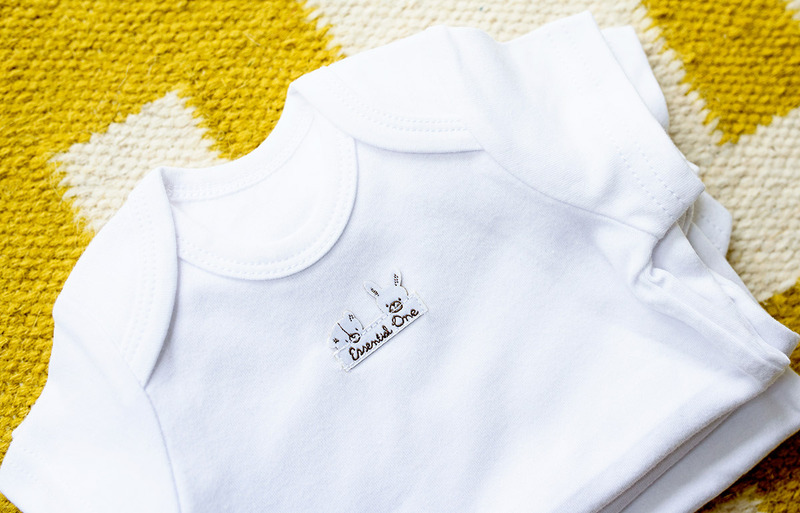 I am bringing in a couple of 0-3 month sleepsuits as I have a feeling this baby will be big and be out of newborn clothes almost instantly. I love these ones from Next which were a present from the girls godmother Emma. I thought I would bring a warmer cover up in case it is chilly on the way home from hospital. My mum bought this one for the baby from John Lewis and I love it. 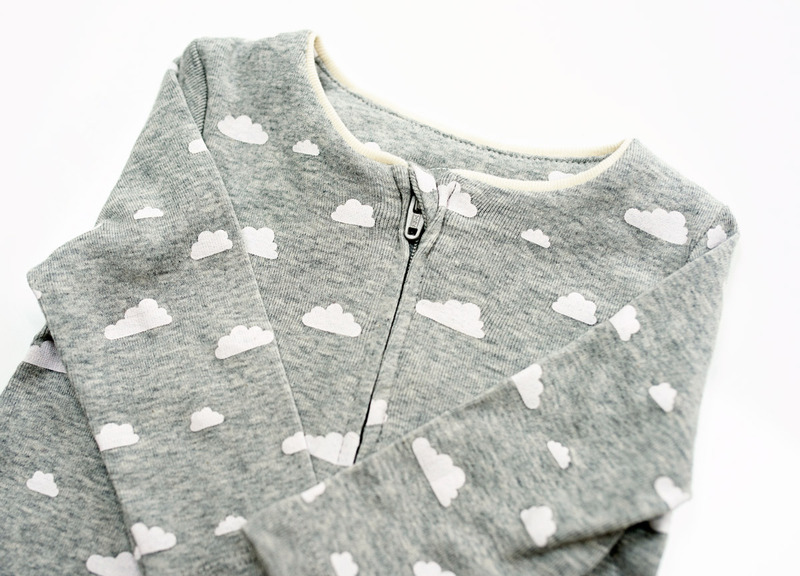 I said in my video this cloud sleep suit was from Gap (oops!) but it is actually from Mamas and Papas and I love it. It was going to originally be the baby’s going home outfit but then I found the below one from The Essential One. However I think this is going to be one that he will wear very soon once he is here! Finally every baby needs a special going home outfit and although I am not 100% I think this one from The Essential One might just be his. 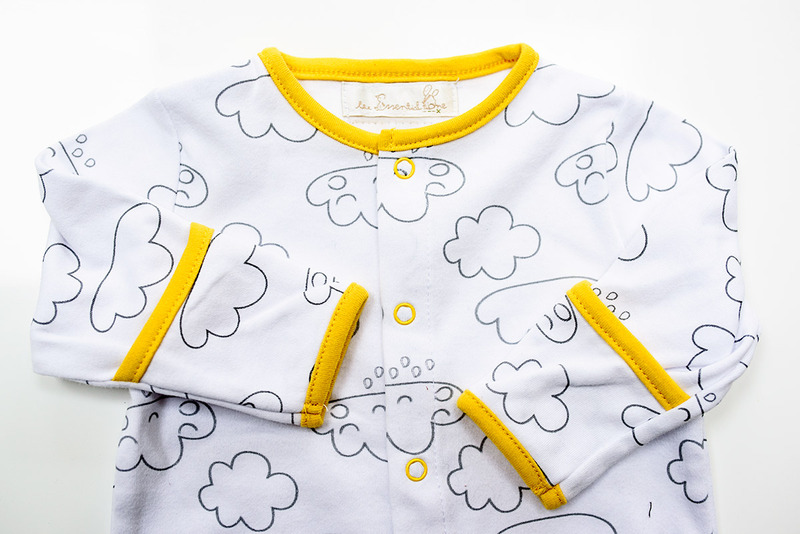 I am obsessed with clouds and also mustard and I think this sleepsuit is one of my favourites. It’s all so pretty and I’m sure baby boy is going to look gorgeous in it all. My most favourite thing ever right now is looking for rompers that have zips on them. They are sooo good, and easy! Those outfits are all soooo gorgeous. Actually made me broody for a minute there! I need some Essential one sleepsuits for our little girl and I have my eye on the white and yellows too. We have so much colour for her wardrobe but those very first days I love white and simple and pure. You seem very organised! I am a last minute packer usually, and this time I am hoping to just get a basket ready instead of a bag as if all goes to plan I shall be avoiding the hospital.